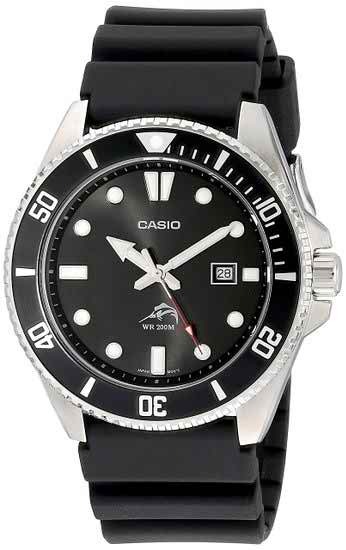 When someone thinks of Casio watches, some cheap plastic body watches my come to mind. Well, Casio MDV106-1A Men’s Black Anti Reverse Bezel Watch will surely change your view about the quality of some of the best Casio watch. This watch is available on Amazon for only $41 but don't be fooled by the cheap price, the quality of this watch can easily beat some of the expensive Rolex or Omega watch in the market. It has a great design and feels to it and the watch is one of the best affordable dive watches you can find nowadays. You can easily use this watch under 200m of water. And the watch face is easy to read under almost any condition thanks to the built-in luminous markers and hour hands. Casio MDV106-1A Anti Reverse watch is one of the best watch made by Casio. There are many high-quality features in this watch that are only available in a highly expensive dive watch. The glow in dark feature, stainless steel waterproof body, the date function and the classic look makes it very similar to some of the best diving watches. The watch looks very stylish in hand. It has a great classic feel to it. It is very difficult to determine if it is an expensive or cheap watch just by looking at it. The watch has anti-reverse crown and lock-in mechanism to make it more water resistant. It is also very easy to set the time and date with the crown. It works perfectly without any problems for many years. Highly polished stainless steel case, uncluttered face, easy to read. Analog Display, Classic design, and feel. Water resistant: Suitable for recreational diving.All those great features in cheap price. Luminus Markers and Hour Hands do not glow too bright unless you charge it with an external light source. But it glows enough to see the time properly. Some reviewers have complained about the anti-reverse bezel feature which means you can only adjust the date and time by turning the crown counterclockwise. You also have to unscrew the crown first to pull it out and set time, but this feature is here just to protect the watch from water going in. Q: What size of the band should I need to buy if I want to replace the original band? A: You will need 22 mm band for this watch. Q: Is this watch suitable for swimming? 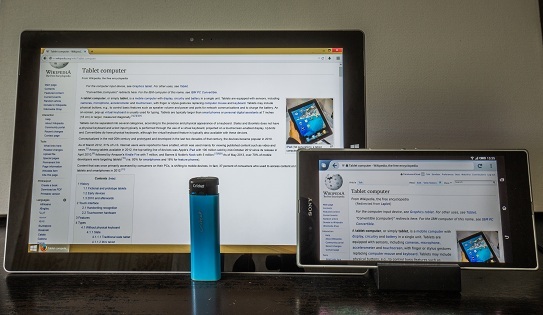 A: Yes, most of the reviewers have said that they have used it in ocean, pool and many other places without any problems. Q: How can I fix the date and time on this watch? A: You have to unscrew the crown first then pull it out one click to fix the date and second click for the time. You can only rotate it counter-clockwise. So, at the end, if you are looking for a best affordable dive watch this is exactly what you are looking for. This is one of the best dive watches for the money. The solid design of the watch and other features will surely worth the money. Some of the reviewers have wondered that how Casio is making money by selling this high-quality watch at this cheap price! It’s water resistant feature made the watch more popular among the people who are involved in any water sports or a recreational diver. So whatever category you fit in, I would say give this watch a go- you will fall in love with it. Welcome to my blog. I am a content writer; my specialty is in review content writing. Other types of writing skills will be available soon.